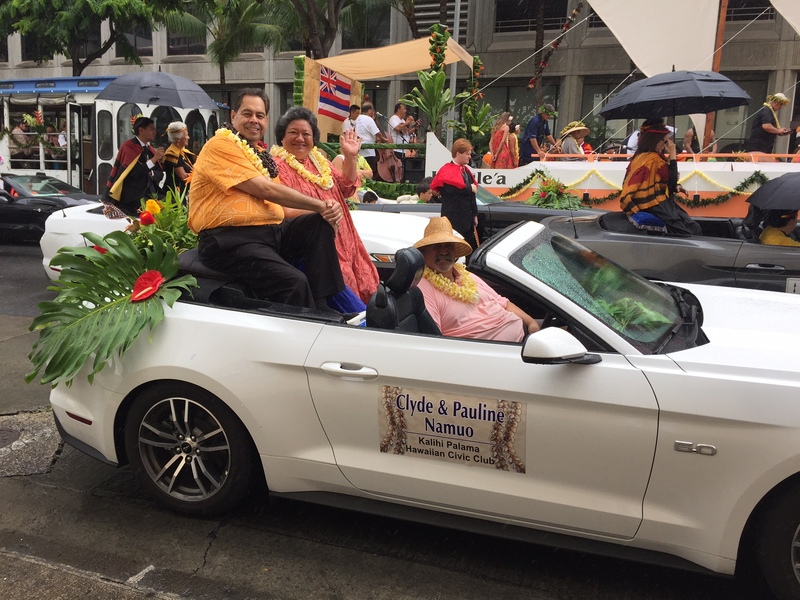 Clyde and Pauline Nāmu‘o, honored by Kalihi Pālama Hawaiian Civic Club in the 2017 King Kamehameha Celebration Parade. 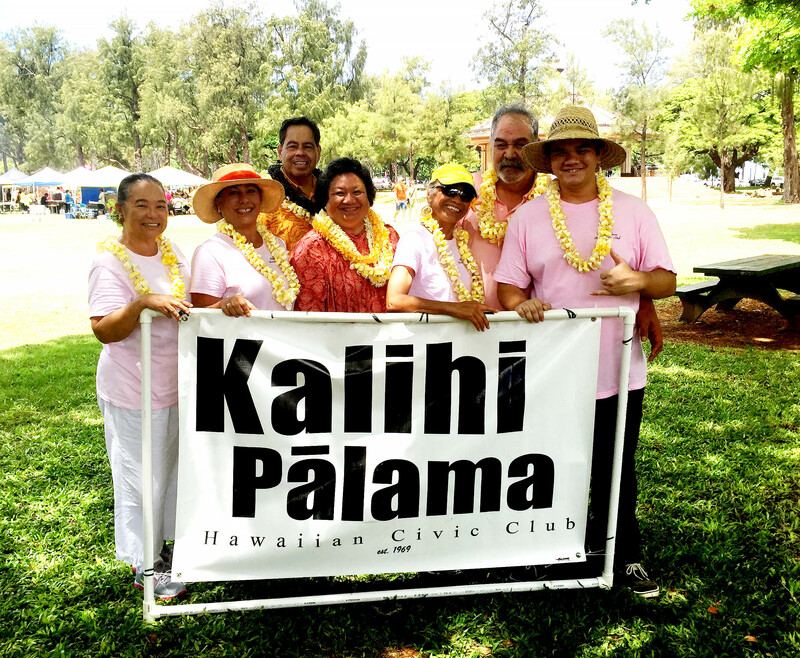 Kalihi Palama honors members, Clyde and Pauline Nāmu‘o, for outstanding leadership in the Hawaiian Community, in the King Kamehameha Floral parade. 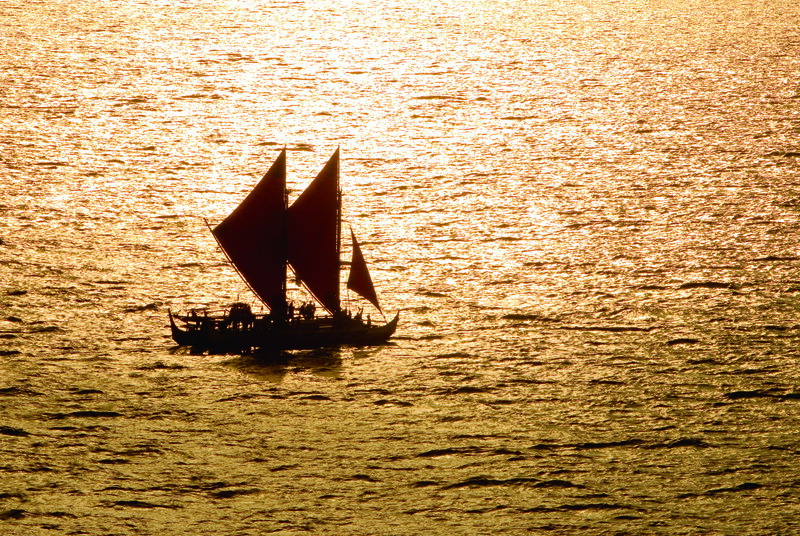 The car was designed by Ladd Heleloa and driven by Ladd. 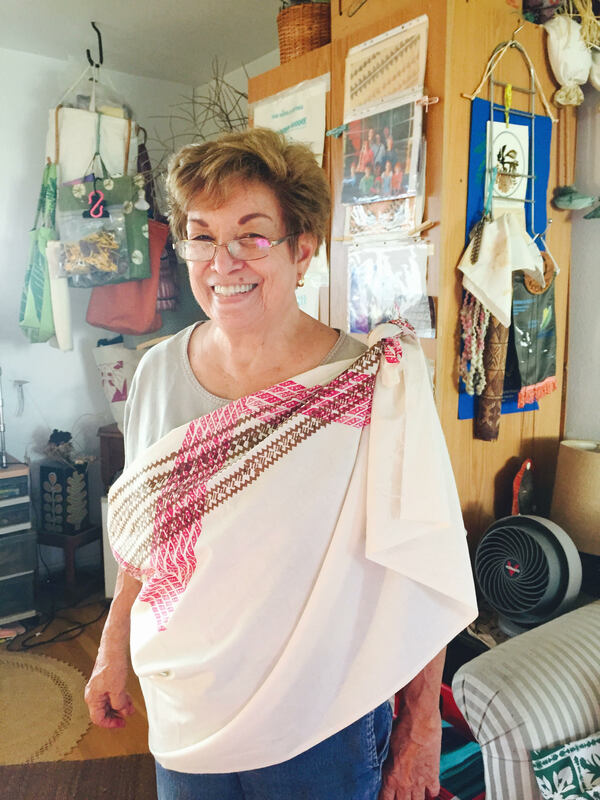 Banner holders included Leimomi, Kaimo Muhlestein, Lei Kihoi, and Kimo Burgess. 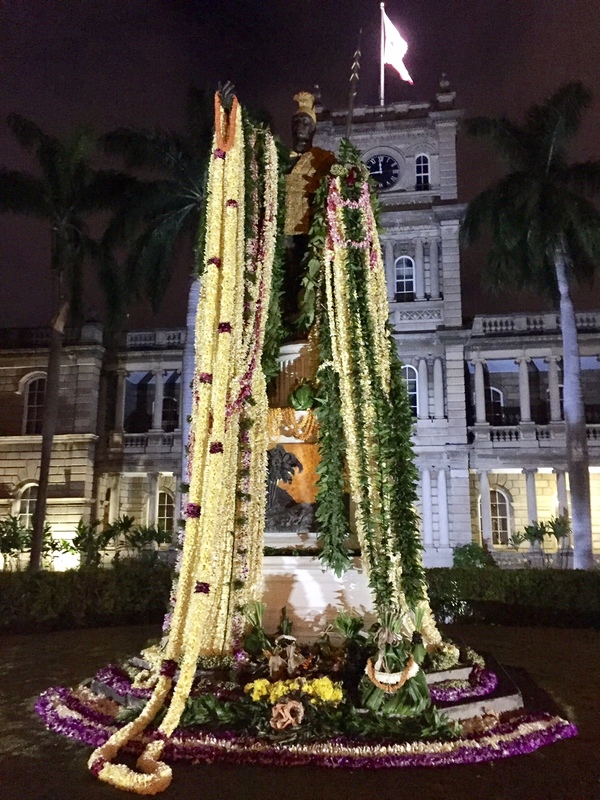 Kaimo, Lei, and Kimo walked the whole seven miles. 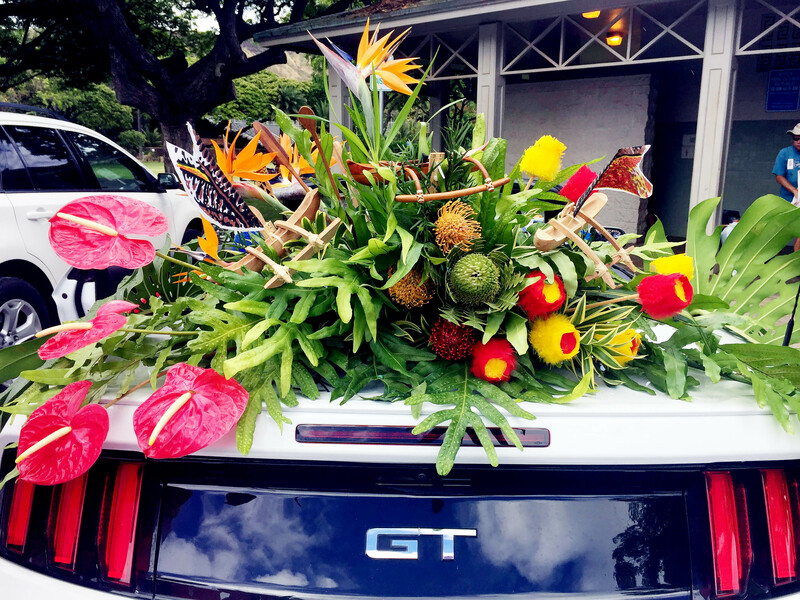 Ladd Heleloa’s expert convertible parade decorations. 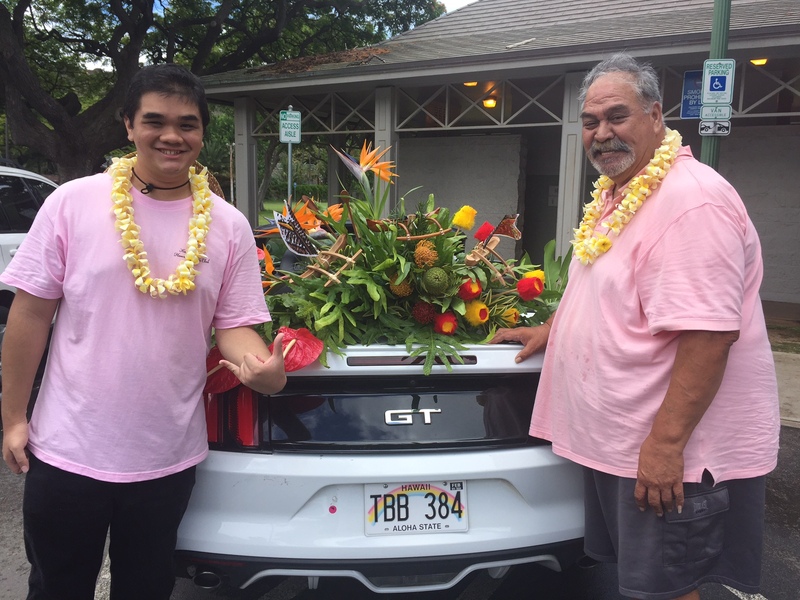 Kimo Burgess and Ladd Heleloa. This entry was posted in General on June 10, 2017 by Blaine Fergerstrom.